More than 200 utensils that are 2,350 years old, including a bronze mirror frame and a fork, have been unearthed in the ancient city of Patara, located in the Kaş district of Antalya province. 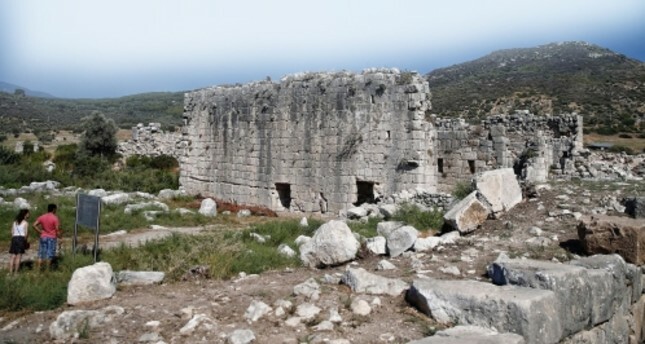 The excavation works in Patara started in 1988 and are being continued by the head of Akdeniz University's Archaeology Department Prof. Havva Işık and her team. Speaking to Anadolu Agency, Işık said Patara is one of the most important ancient cities of the Mediterranean region. Implying that Patara was the prophecy center of Apollo, the god of art, music, sun, poem and fire in mythological sources, Işık said Saint Nicholas, who is an important figure in the Christian world, was also born there, and he created his teachings in Myra. She added that they have focused on the area around the Nero Hamam this year, and the excavation works in the basilica and Tepecik Acropolis in the heart of the city are ongoing. "Tepecik Acropolis, which is the most important area of the excavations, houses the earliest settlement. This is why the most important findings have been found there," Işık said. She indicated that they are trying to reveal the Hellenistic and classical period with the findings there. Noting that they discovered many interesting artifacts in the excavations of the Tepecik acropolis, Işık said more than 200 works have been found in a construction site that was demolished because of an earthquake or fire. The goods, which have been found together in the same area including meal bowls, weights, sculptures and coins, are in good shape. "This house is a think tank for us. These works are important since they provide information about the Hellenistic period. They bring important information about daily life," Işık indicated. 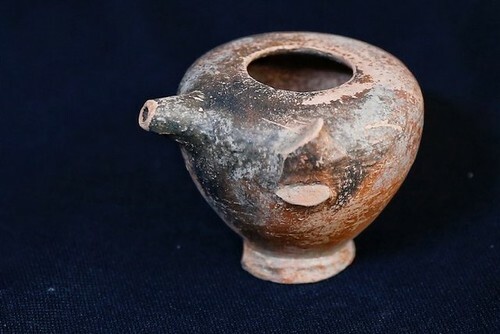 Noting that the earthenware baby bottle, bronze mirror frame and iron fork were important findings, vice head of the Patara excavations associate professor Şevket Aktaş said, "We think these findings belong to an important figure. We have found more than 200 household goods together. They date back to 2,350 years ago. We date them at the end of the Hellenistic period and the beginning of the Classical period. We generally discover broken pieces in excavations. However, it was so exciting that we have found them simultaneously and in preserved shape." Explaining that the baby bottle was used for fluids like milk, Aktaş implied the importance of these findings to understand the family structure of the period. Starting from the bronze mirror frame, he also commented that these goods possibly belong to someone rich because ordinary people from this period didn't use mirrors. In order to show the importance of the findings to get information about the daily life of the period, Aktaş gave the example of weaving looms. Many weaving looms dating back to 350 B.C. have also been found in the excavations but their wooden parts were unable to last over the years. 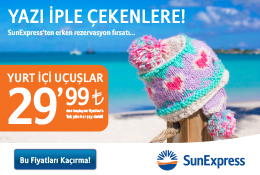 Additionally, in Patara, the parliament building of the Lycian League, which is accepted as the first democratic parliament of the world, was opened to tourism after reparation by the Grand National Assembly of Turkey in 2011.